Spicy Chicken Kabobs | Om nom nom! Missy sent me this really excellent chicken marinade, and we had to give it a try. It’s Asian-y and delicious. We made a few changes, cut back on the spice a bit because we’re not huge on heat, and added a couple of cloves of garlic. It was great and we’ll definitely do it again – the leftovers for lunch will be awesome. 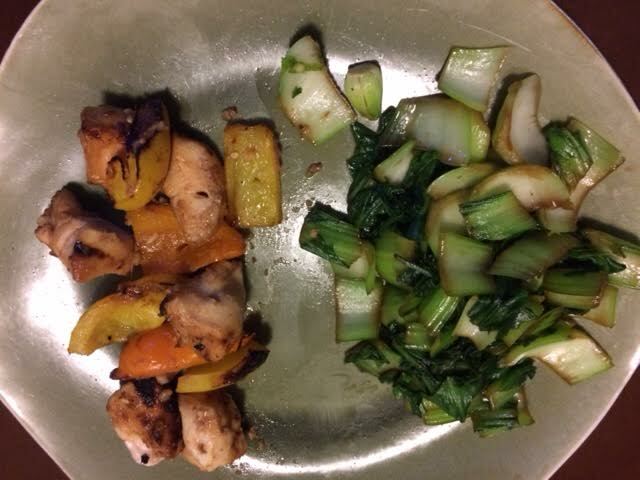 We had it with some bok choy as a side.